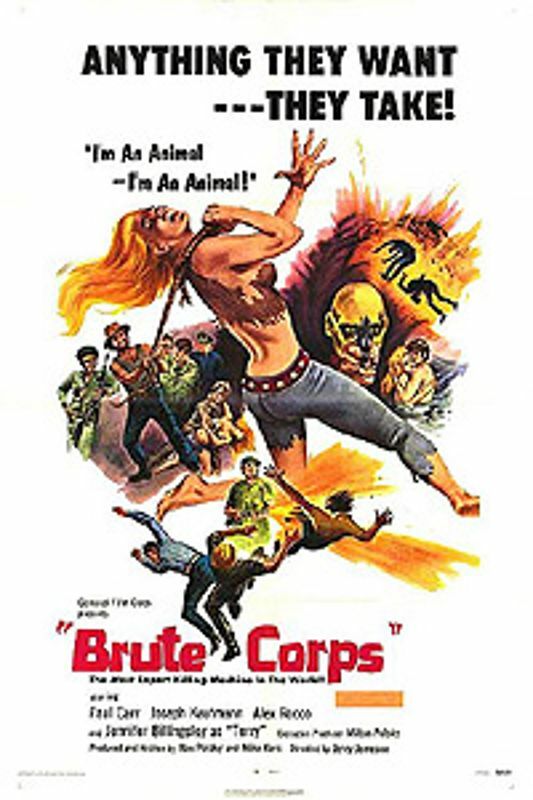 The Brute Corps is an alternate title for the no-budget cycle flick The Dirt Gang. Leather jacketed punks Monk (Paul Carr) and Snake (Michael Pataki) raise hell with motorists and innocent bystanders. When they're tired of all that, they take on each other. Let's just say that "Dirt Gang" is an appropriate moniker. If you happen across this American-International potboiler, keep an eye out for ex-Bowery Boy William Benedict as a gas station attendant.